Wine lovers always insist on coordinating wine with its relevant glass, and the same applies to beer. The second most consumed alcoholic beverage in the world is beer. You would think that people would be more educated regarding the proper way to consume certain beers, but this is not the case. There are two types of beer drinkers, but those who drink to savor and appreciate the taste of beer will find the concept of beer glasses interesting. People who drink beer to get drunk usually don’t care for the taste. They can try to further their beer glass knowledge, but it won’t be of much use when they can barely stand up, let alone have a conversation. If you’re the type of drinker who appreciates the mouthfeel and finish of a beer, it’s about time you become acquainted with beer glasses and the beers that they’re paired with. If you've stumbled into a bar recently and ordered a beer, the chances of the bartender serving you a light beer poured into a plastic cup are slim. Decent modern-day bars carry as many glasses as they do beer types, so it's time you get with the program. Whether you're drinking a beer with friends or want to enjoy a glass at the end of a long day, don't you want to consume it the proper way for your taste buds get the full experience? Only by knowing the difference between beer glass types will you be able to master the art of beer tasting. Keep in mind that we are merely scratching the surface with the three glasses mentioned below. 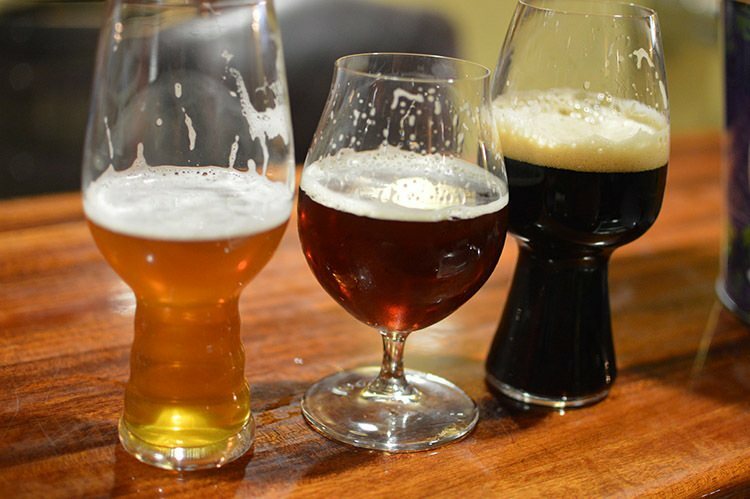 There are tons more beer glasses, but these three are most commonly found and used in bars. Wherever you are in the United States, we guarantee that you'll find an American pint glass in a bar. The words simple and pragmatic should come to mind when you see the 16-ounce American pint glass. 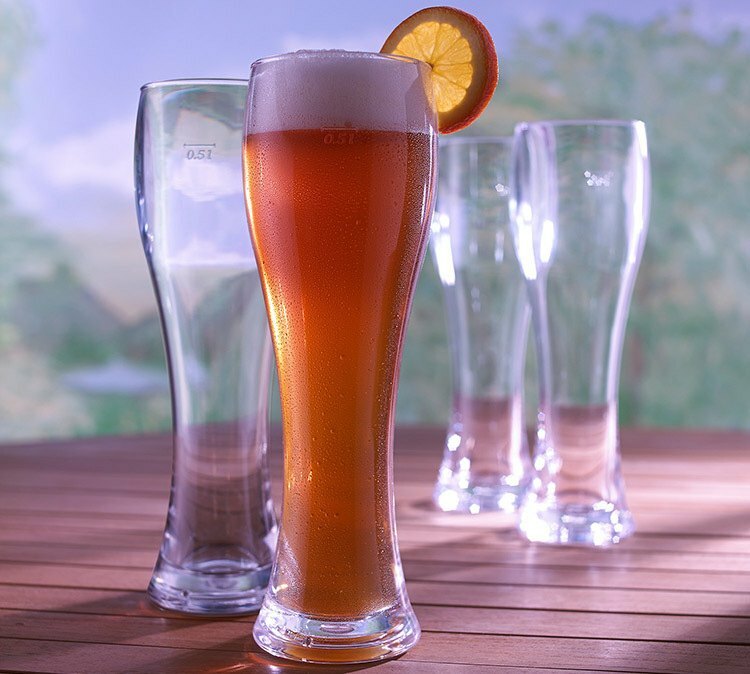 The mouth of this glass is slightly wider than its base, which is an ideal shape to serve a wide variety of beer types. Due to its basic design, it won't disrupt or intensify any beer, which is why you'll find it in so many bars. It is also cheap to produce and won't take much to clean and store. When compared to the amount of beer an American Pint Glass can hold, a Pilsner glass holds a few ounces less ranging from 12 to 14 ounces. Regarding its shape, a Pilsner glass is slim yet tall with a mouth that is noticeably wide. Due to this beer glass thin yet long frame, you could see every aspect of the pilsner and light beers from the bubbles to the shine. Since the mouth is wide, but more narrow than that of a pint glass, it helps to keep the beer’s head concentrated in a small space. The aroma is so strong in a pilsner glass that your nose will detect the type of beer you’re drinking within seconds. Tulip glasses should be a go-to beer glass when you're drinking a flavorful beer that has high alcohol content. A tulip glass that measures 17 ounces should hold a maximum of 12 ounces of beer, while a 12-ounce tulip glass should hold up to 9 ounces of beer. This beer glass an elegant design that starts with a rotund body moves up to a pinched mouth and finally ends with a flared lip. The mouth is responsible for locking in the aroma and flavor while the lip supports the beer's foamy head. When you first take a glance at a tulip glass, it’ll remind you of a wine glass. You could treat it as such since it comes with a short stem that promotes swirling the beer. This action will expose aromatic aspects of the beer that will catch your nose by surprise. ​​​​​​​​​Why Are Beer Glasses Important? Similar to wine, different beer glasses bring out and accentuate specific flavors in a beer. Drinking a beer that's been poured into the wrong glass can ruin its overall taste. As a rule of thumb, always go to bars that value their glasses as much as their beer selection. Now, if you’re drinking a bottle of Bud Light, you don’t have to go out of your way to locate the perfect lager glass. On the other hand, when a glass of a high-end craft beer costs the same as a cocktail, the bartender better know which glass its meant to be served in. 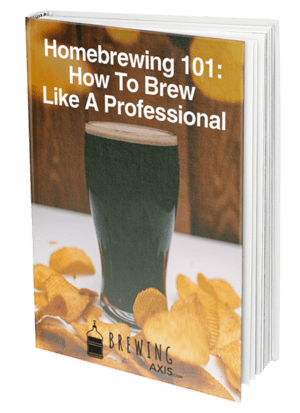 When a bartender uses the proper beer glassware, its indicative of the training he or she had to go through to memorize all the beers and their matching glass companions. You are made aware of the bar’s good service and how it prioritizes your beer drinking experience above all else. 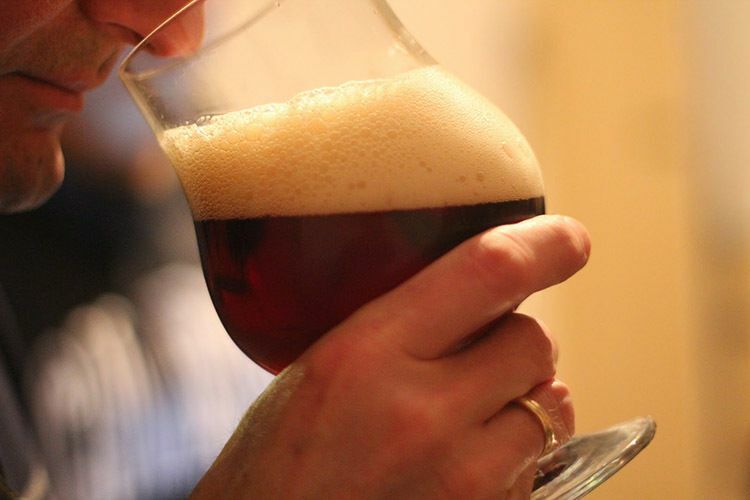 Beer connoisseurs are aware of the fact that the glass impacts the aroma of the beer they’re drinking. Taste and smell go hand in hand, so the only way you can taste all the intricacies of a beer type is to drink it from a proper glass. 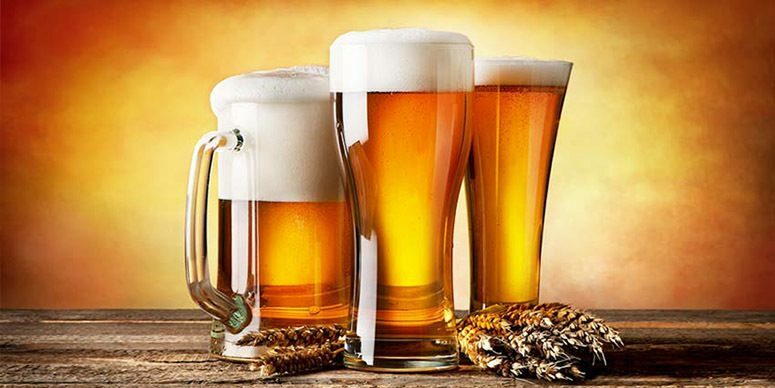 The right beer glassware will ensure that you register all the aromas present. All the hard work that the brewer put into coming up with a craft beer recipe can finally be appreciated by the consumer. For instance, when a brewer adds citrus fruit to a brewing recipe, you can smell it when its presented in front of you in the right glass. The head of the beer is where most of the aroma is trapped. By drinking it from a pint glass, you put your nose in direct contact with the beer’s aroma, so go ahead a take a strong whiff! A pint glass caters to the bouquet of a large number of beers, but it isn’t the only beer glass shapes out there. When you start pairing beers with glasses, you'll be able to tell the difference between an opulent, round, big, chalky, sessionable, and thin beer with ease. How To Pour Beer In The Glass? Avoid aggressively pouring your beer because it will negatively affect its overall flavor. When you pour a beer right into the center of a glass that's sitting upright, you end up with an immense head causing the beer to lose its carbonation. ​Tilt the beer glass at 45-degree angle. With the beer at the edge of the glass, pour it in slowly, so it hits the middle side section. ​Continue doing so until half has been poured into the beer glass. ​Place the glass straight up, and pour the remaining half aiming for the center. Viola! 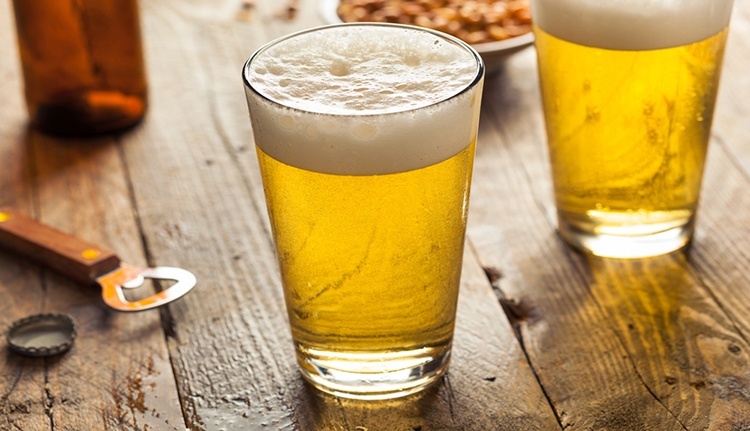 You now have a picture perfect glass of beer that has a half inch head of foam. ​What Is The Optimal Temperature Within Different Styles? Before we go into the optimal temperature within different beer styles, the general beer serving temperature range should be between 38 to 55 degrees Fahrenheit. In bars, beers are always served a couple degrees colder than the ideal temperature. Both the glass and your hands give off heat in which the beer absorbs. By the time the beer hits your mouth, it’ll be the target temperature. 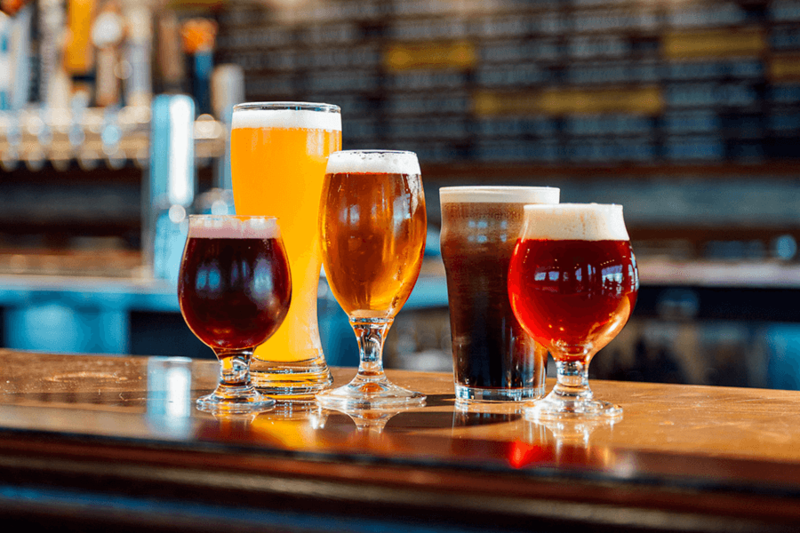 You’ll know you have earned the title of being a beer connoisseur when you can readily figure out how to choose beer glasses based off the type of beer you’re drinking. Your nose and taste buds will thank you for it.